To provide structured youth ultimate focused on fun inclusive play and spirit of the game. Vinh started playing Ultimate in the fall of 2005 as a 6th grader at Roosevelt Middle School when Luke Johnson started middle school teams in Eugene for the first time. During his high school years Vinh played for the South Eugene Axemen and acted as captain during his senior year. Playing at the youth, college, club, and professional levels Vinh has an intimate knowledge of the game coupled with a deep understanding of the Eugene Ultimate community. As Summer Camp Director, Vinh helps organize and plan the summer camps. Jason started playing ultimate in the fall of 2005 as a 6th grader at Roosevelt Middle School and has been in love with the sport ever since. Playing three years at RMS and then four at South Eugene High School, he is a direct product of the Eugene Ultimate community's intervention at the youth level, which is a system he and EMSU are excited to feed back into. As a board member of the Eugene Ultimate Group (EUG), Jason acts as a liaison between EUG and EMSU, and is also responsible for all social media content. Russell Arkin serves as the Executive Director for EMSU and the coach of the Village School ultimate team. He started playing ultimate as a sophomore in high school at South Eugene, and hasn't stopped since. After playing 4 years at Whitman College in Walla Walla WA and captaining the team his senior year, Russell has been back in Eugene and committed to improving the youth scene here. He currently plays for the local club team Darkstar. Conrad graduated with a degree in social sciences at the University of Oregon in 2017. With a respectable four years of ultimate experience under his belt, he enjoys not only playing, but coordinating team efforts. He looks forward to having ultimate be a major part of his life, even outside of EMSU. Conrad was one of the primary founders of EMSU and was on the Board of Directors for a year. He currently is living in Condon, OR working as a rural developer, but we hope to have him back in Eugene Soon! Jared started playing Ultimate in the early 1990's and played at the University of Oregon in '93 and '94. He spent the better part of the next fifteen years playing with an eclectic mix of men's and mixed teams based out of Eugene, Portland and western Oregon. Along with his wife Rachelle, he coached the UO Women (Sneetch/Fugue) from 2000-03. A EMSU board member since 2015, Jared is a strong support of youth athletics in general and Ultimate in particular. He has been part of the ultimate coaching crew at Roosevelt Middle School since 2014 and is dedicated to promoting the sport among local youth. Jay was first introduced to frisbee when he was in High School in the SF Bay area in the late 1970’s. He played his first real ultimate at Whitman College and has been involved in the sport ever since. In 1984 he moved to Eugene to go to graduate school and to play with Dark Star. For the next dozen years he played for and captained several teams, qualifying for collegiate nationals twice and open nationals seven times. In the early 2000’s Jay started coaching his son Eli’s team at Churchill HS. Several years later he also helped with his son Jacob’s team at South Eugene HS. In 2007 Jay played one year of masters ultimate, ending his playing career with a semifinal loss at nationals. In 2009, when Eli was a senior at the University of Oregon, Jay started coaching Oregon EGO. 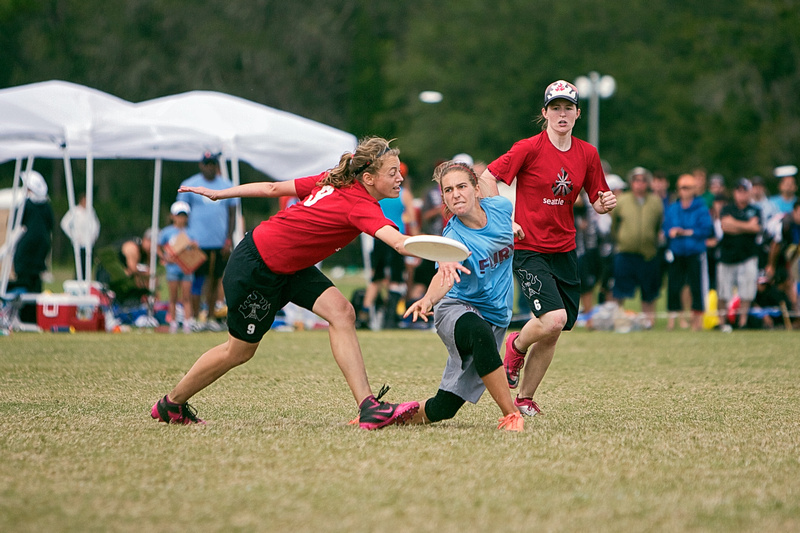 Since then EGO has consistently competed at the highest level of collegiate ultimate with semifinal appearances in 2012 through 2014, and a finals appearance in 2015. 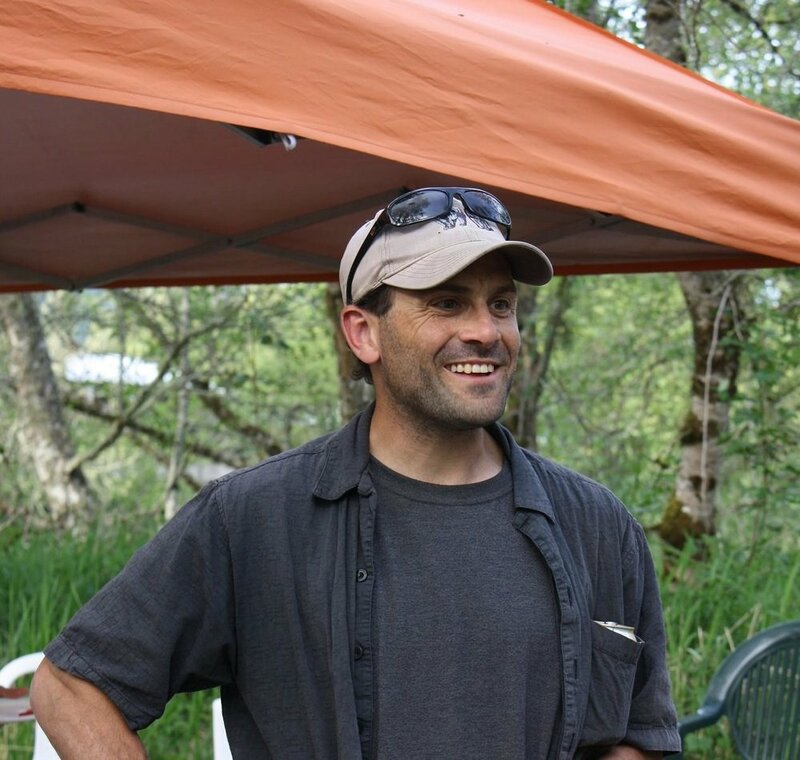 In his professional life Jay has worked as a general contractor in Eugene since 1992. He has also served on the Board at the Eugene Waldorf School where he spent many years overseeing the tuition assistance program. Jay’s wife Molly is the administrator at the Eugene Waldorf School. They have four adult children. On weekends when he is not coaching EGO, Jay, Molly, and their dog Teddy can be found hiking, cross country skiing, or mountain biking. A lifelong recreational ultimate player and dedicated Frisbee mom, Jen is excited to help support opportunities for youth to get in the game. She is enthusiastic about coed sports, and is happy to be working with EMSU in developing programs to support all levels of play. When he is not playing frisbee, Cody enjoys camping or hiking with his wife Linsey and dog, Autzen. He is currently employed as an Accounting manager. 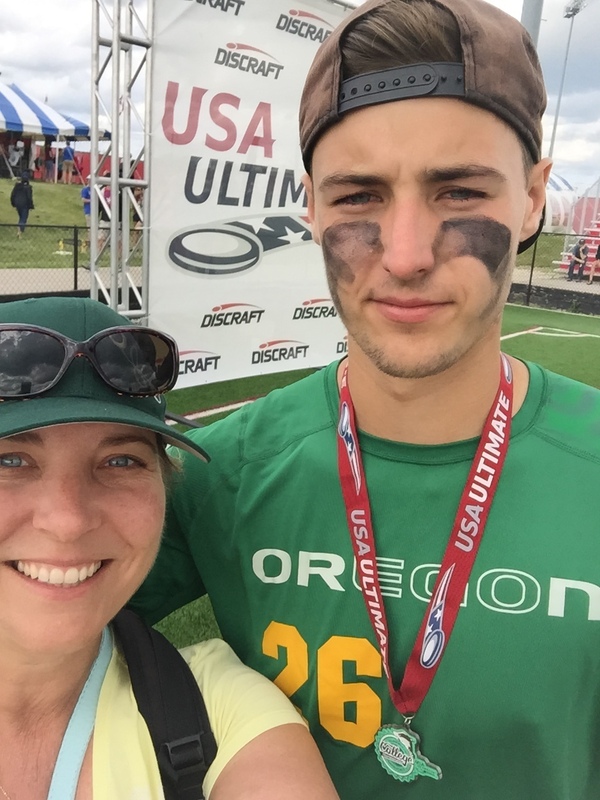 My name is Heidi Khokhar, I got involved with the sport of Ultimate when my son Colton’s bff, Hayley, decided for the two of them that they needed to do something with their high school years. I’ll never be able to repay Hayley nor this sport for the many positive impacts they have had on my “little” boy. Being on the board of EMSU affords me the opportunity pay it forward and use my expertise in nonprofit management to help an organization, whose mission I believe in, and other kids in the Eugene area learn through play. Greetings! I’m Josh. I played my first ultimate frisbee game in the summer of 1999 as a member of the City of Eugene summer rec-league “black” team. At the time, I didn’t know a stack from a stall. I recall running around in circles and watching the person I was supposed to be guarding score a lot. I was 25-years old and in desperate need of an EMSU summer camp! Nevertheless, I quickly fell in love with the comradery, elegance, and spirit of the game. I continued to play recreational ultimate in Eugene through 2009. Today, I’m the enthusiastic father of a current EMSU player. As a member of the EMSU board, I am committed to increasing the number of youth exposed to Ultimate in our community. Professionally, I work on natural-hazard, community resilience, and regional planning projects for the Institute for Policy Research and Engagement at the University of Oregon. I live north of the river with my wife and two sons. Julia discovered the sport of Ultimate at South Eugene High School in 2005 where she quickly found great joy in the game as well as its unique community. She pursued the sport in college at the University of Oregon where she helped Fugue earn its first national championship title in 2010. After two years with San Francisco’s Fury she has spent the last four club seasons playing with Oregon Schwa where she is helping to develop and implement a long term vision for sustainable growth and success of this program. In her free time, she enjoys working for land conservation, hiking, eating kale and generally appreciating the place she lives.